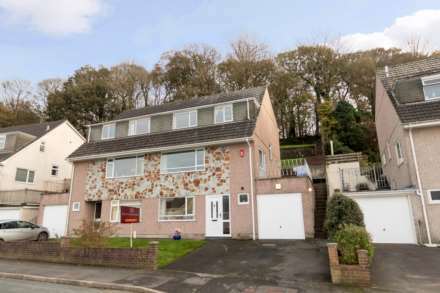 Built in 1955, `Greystones` is an imposing and recently extended, traditional detached residence occupying a large and mature site within the popular location of Derriford. The excellent range of local facilities include easy access to Dartmoor National Park, Derriford and Nuffield Hospitals, various Science Parks and access to the `Park and Ride` scheme which has regular public transport to the City Centre some five miles distant. The property has recently been much improved and modernised with notably, in 2014, the installation of a fabulous and splendid `French style` kitchen/diner extension with three skylights and various other windows which provide a particularly sunny aspect. The property also has gas fired central heating, uPVC double glazing, a modern bathroom and two modern shower rooms. The accommodation, some of which has parquet flooring, comprises on the ground floor of an entrance hallway, a sitting room, a dining room, a breakfast room/study, a utility room, a shower room and the fabulous kitchen/diner. On the first floor are 4 bedrooms, a modern bathroom and a new shower room. Externally, a sweeping drive, with ample additional parking, provides access to a new detached double garage which has a remote control door. The rear gardens are a delightful feature of the property, are laid mainly to lawn, level and are well enclosed by hedging.